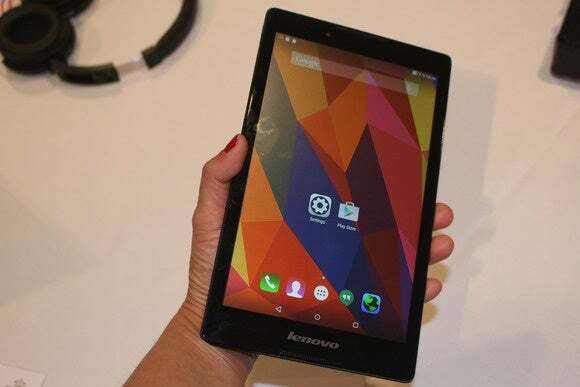 BARCELONA—Lifeless, tinny sound is the norm for most mobile devices, but Lenovo’s bucking that trend with its new Tab 2 A8 (starting at $130) and Tab 2 A10-70 (starting at $200). Announced Sunday at Mobile World Congress, both Android tablets will feature Dolby Atmos 3D sound technology. I can’t embed a sound bite, so you’ll have to believe me: This is truly impressive sound quality for the price. We listened to the Tab 2 A8’s Dolby Atmos sound using headphones (the built-in speakers are nothing special). The Atmos technology makes you think you’re hearing sounds coming not just from left and right, but also above, behind, ahead…it’s a distinctly better audio experience. I didn’t need headphones to appreciate what the Tab 2 A10-70 could achieve, with Dolby Atmos and the wide sound bar built into the bottom of one side. You’re not going to mistake it for a nice stereo system, but you’re also not going to wince. The same immersive audio experience emanated from that sound bar. 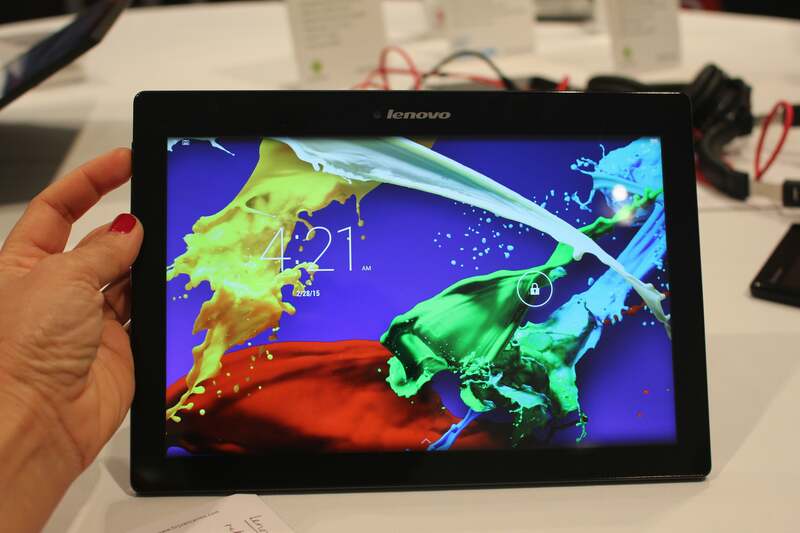 The Lenovo Tab 2 A10-70 will ship in April with Android 4.4 KitKat and be upgradable to Lollipop in June. Both Tab 2 devices have other nice attributes. The A8's 8-inch IPS screen has a resolution of 1280x800 pixels. The A10-70's 10.1-inch display has a resolution of 1920x1200 pixels. The A8 also has dual SIM slots for GSM and 4G LTE, so you could conceivably use this as a crazy-large phablet. The LTE version of the A8 will cost $180. If you must be that person who uses your tablet as a camera, the A8 has front 2MP and rear 5MP models, while the A10-70 has 5MP front and 8MP rear. Both tablets use MediaTek quad-core processors. 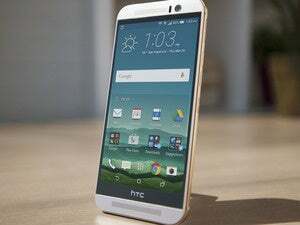 Android Lollipop will come preinstalled on the A8 when it ships in June. The A10-70 ships in April with Android 4.4 KitKat and will be upgradable to Lollipop in June. The LTE version of the A10-70 will cost $280. It's not hard to find an affordable Android tablet, but it is hard to find any tablet with decent sound. Lenovo’s new Tab 2 tablets are reasonably priced and offer surprisingly good sound systems, and that should give them an edge in a crowded field.